Our first night in Napa on our recent vacation in May out West we had reservations at Bouchon, which is just down the street from Thomas Keller's most well known restaurant The French Laundry (see previous post about going to his garden). 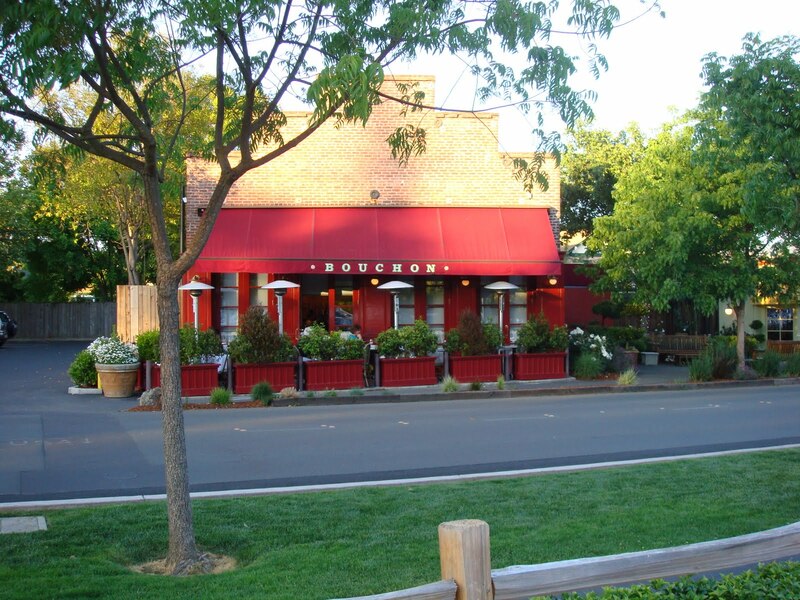 Eating at Bouchon was a lot of fun. They really packed people inside, but still were able to keep the intamacy. Oh, and John Cleese was sitting at the table behind us!! 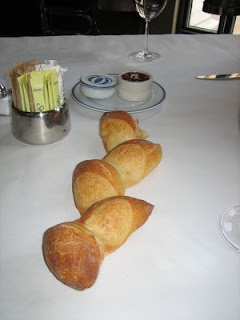 Bread was served with fresh butter. We didn't take any pictures, but found this one online. Fun! For our appetizers, we chose 3 of the specials: Duck sausage, Fennel and apple soup, and dungeness crab and lobster salad. The sausage was one of the best pieces of sausage either of us has ever eaten! 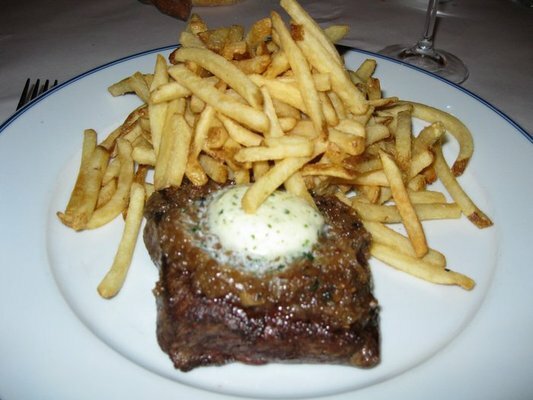 Entrees: We had the Steak Frites - pan-seared prime flatiron, caramelized shallots, maître d'hôtel butter & French fries. See picture below (from the internet). 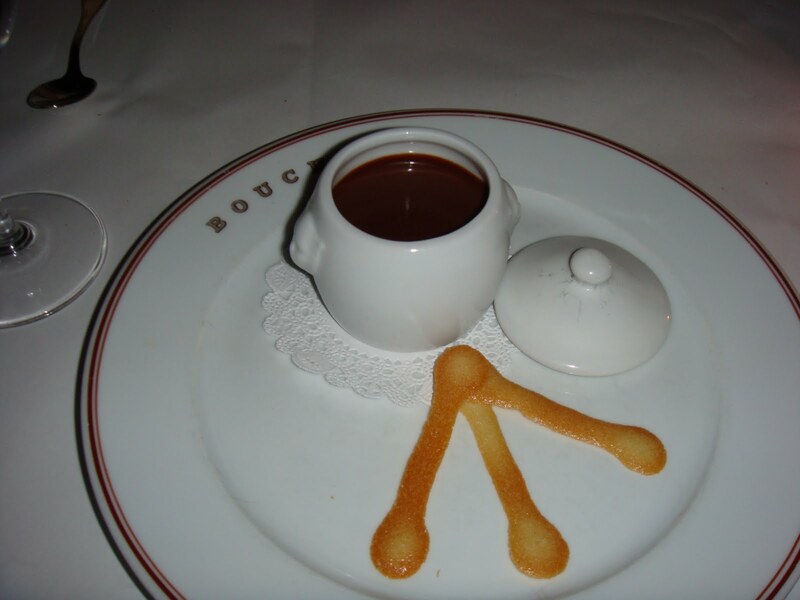 Overall we had a wonderful time at Bouchon with some of the best food we've ever had!